Prostate 5LX combines multiple prostate-supportive phytonutrients, including dual extracts of Nettle and supercritical Saw Palmetto. ** Prostate 5LX delivers specific revered herbs that help maintain normal urine flow function. ** Whole-food complexed Selenium, with complementary benefits from Rosemary and Green Tea, supports a healthy antioxidant response in the whole body, including the prostate. 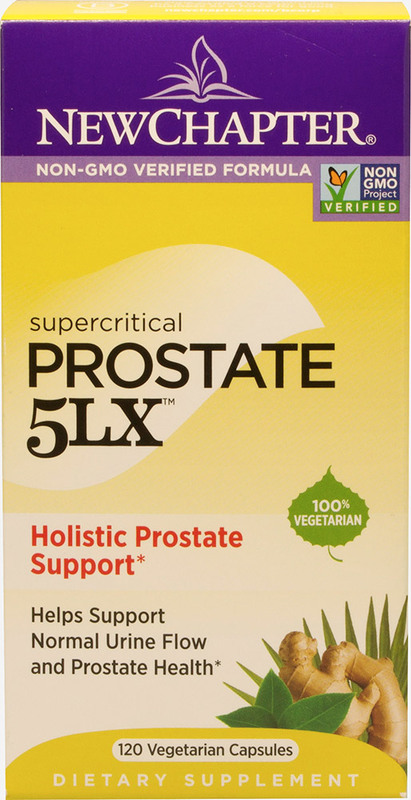 ** Prostate 5LX contains a proprietary blend, with complementary Pumpkin Seed oil. New Chapter uses only supercritical CO2 or traditional techniques to deliver a super-potent extract.